CAMBRIA, Calif.- Standing on the ridge overlooking her central California farm, new widow Teri McCall sees her husband Jack nearly everywhere. There, atop the highest hill, is where the couple married in 1975- two self-described “hippies’ who knew more about how to surf than farm. And over there, surrounded by the lemon, avocado and orange trees J ack planted, sits the 800-square-foot house the young Vietnam veteran built for his bride and a family that grew to include two sons and a daughter. Solar panels Jack set up in a sun-drenched stretch of grass power the farm’s irrigation system. And down there, clasped in the cusp of the velvet green valley sits the century-old farmhouse Jack and Teri eventually made their permanent home. Jack installed a stained glass window featuring a heart and flowers over the front door. Anthony ‘Jack’ McCall, 69, died Dec. 26 after a painful and perplexing battle with non-Hodgkin lymphoma. The loss is certain, fixed forever into his family’s heartbreak. But questions about why and how he was stricken – a man who never smoked, stayed fit and had no history of cancer in his family – are part of what some legal experts see as a potential landmark legal claim against one of the world’s largest agrichemical companies, Monsanto Co.
McCall shunned pesticide use on his farm, except for the herbicide called Roundup – marketed by Monsanto as having extremely low toxicity. He used Roundup regularly, spraying it himself around the farm to drive back worrisome weeds. He even recommended Roundup to friends, telling them it was supposed to be much safer than alternatives on the market, and touting its effectiveness. The lawsuits, brought by plaintiffs in California, Florida, Missouri, Delaware, Hawaii,and elsewhere over the last several months, claim Monsanto has hidden evidence, and manipulated regulators and the public into believing in the safety of glyphosate, which annually brings in about $5 billion, or a third of total sales, for the agribusiness giant. Like McCall, many farmed, or worked in agricultural jobs in which they regularly were using or exposed to glyphosate. The claims come at a critical time for Monsanto and its signature product as regulators in the United States and other countries evaluate whether or not to continue to allow glyphosate herbicides. 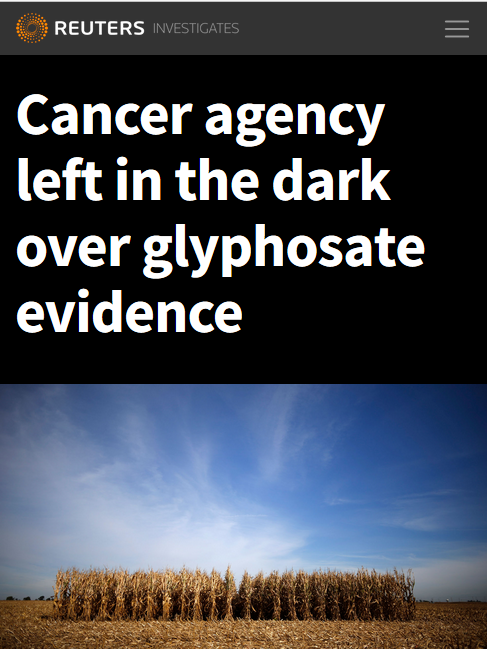 Last year the World Health Organization’s cancer experts classified glyphosate as a probable human carcinogen. That team, the International Agency for Research on Cancer (IARC), said glyphosate shows a “positive association” for non-Hodgkin lymphoma. The outcomes of the legal battle and the regulatory reviews could have broad implications. Glyphosate is the most widely used herbicide on the planet, sprayed on fields for row crops like corn, soybeans and wheat, as well as a variety of fruits, nuts and vegetable crops such as almonds, apples, cherries and oranges. That ubiquitous role played by glyphosate means the litigation, plaintiffs’ lawyers say, marks the beginning of a potential wave of legal actions against Monsanto. Teams of attorneys have been criss-crossing the country lining up potential plaintiffs who they say will likely number in the hundreds and possibly thousands. It’s a time-tested practice by plaintiffs’ attorneys who have brought similar mass actions in the past against tobacco, pharmaceutical and chemical industries. Kennedy predicts glyphosate liability litigation will become as widespread as has been decades of litigation over asbestos, which is seen in legal circles as the longest-running mass tort action in U.S. history. Asbestos was used for years as a safe and effective flame retardant in the construction industry but has been tied to lung diseases and cancers, and spawned hundreds of millions of dollars in legal claims. The glyphosate litigation partly mirrors courtroom battles Monsanto has been fighting for years involving the polychlorinated biphenyls, or PCBs it once manufactured. Plaintiffs in those cases also claim PCBs caused them to fall ill while Monsanto hid the risks. Monsanto claims plaintiffs cannot definitively link illnesses to PCB exposure. Patented by Monsanto and commercialized in 1974, glyphosate herbicide has long been considered among the safest pesticide options on the market. The weed-killer came off patent in 2000 and is now used in more than 700 products around the world, beloved by farmers, homeowners, and groundskeepers. The chemical is the world’s most widely used herbicide with an estimated 1.8 billion pounds applied in 2014, up 12-fold from 1994, according to recently published research. But as use has grown, concerns about safety have also mounted. Residues have been documented by public and private researchers in waterways, air, food and in human bodily fluids. Several scientific studies tied the chemical to cancers and other health problems before the March 2015 classification by IARC. Lawyers for plaintiffs in the glyphosate cases say that among the evidence that glyphosate’s toxicity has long been known is an EPA memo detailing how glyphosate was classified by agency scientists as a possible human carcinogen in 1985 before classified in 1991 as a having “evidence of non-carcinogenicity” for humans. The classification was changed despite the fact that some peer review members did not concur. The lawsuits also cite evidence of fraud at laboratories used by Monsanto to perform toxicology studies of glyphosate, and point to fraud convictions of executives at those labs. St. Louis-based Monsanto, a global agrichemical and seed powerhouse, cites its own evidence to counter both the validity of the allegations in the lawsuits, as well as the IARC findings. 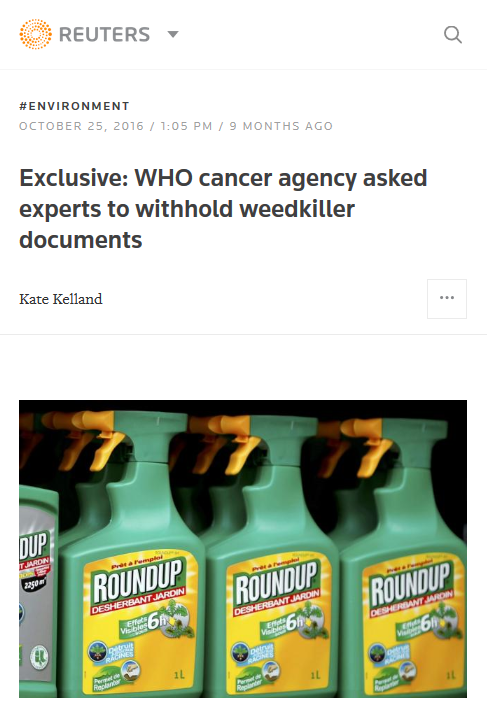 Last year, the company hired a team of experts to review the safety of glyphosate, and said that team found no cancer links. Monsanto attorneys have been seeking to dismiss and/or delay several cases thus far filed, asserting that federal law and approvals by the Environmental Protection Agency for labels on Roundup herbicide products protect Monsanto from the claims in the lawsuits. In recent arguments in U.S. District Court in Northern California, for example, lawyers for Monsanto argued that “EPA repeatedly has concluded that glyphosate is not a carcinogen.” But in April a federal judge in California ruled that Monsanto was not protected from liability by the EPA registration and approved labels. In a Missouri case that Monsanto also was unable to get dismissed, discovery is starting, and plaintiffs’ lawyers are eagerly awaiting what they hope will be a treasure trove of evidence for their clients. The legal claims come at the same time that European and U.S. regulators are conducting their own assessments of the safety of glyphosate and considering restrictions, processes that have become fraught with infighting and accusations of bias from both fans and foes of glyphosate. The European Food Safety Authority (EFSA) said in November that evidence shows glyphosate is unlikely to be carcinogenic. But the European Parliament has said the herbicide use should be reined in with a ban on non-professional use and around parks and playgrounds because of the health worries. On May 2, EPA withdrew the memo from its website and said it was not supposed to have been released because the cancer assessment is ongoing. But Monsanto heralded the release of the document as proof of what it has been saying about glyphosate’s safety. Wall Street is keeping a wary eye on the litigation. 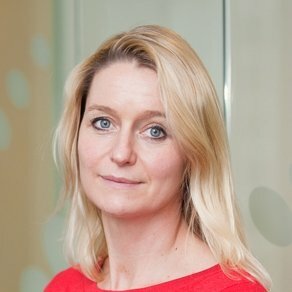 But generally market watchers care less about Monsanto’s risk from potential liability payouts and more about any potential long-term revenue hit if regulators were to restrict or ban glyphosate, said Piper Jaffray analyst Brett Wong, who tracks Monsanto’s business strategies and financial health. The courtroom battles could influence regulators, he said. Legal experts with experience defending the chemical industry are watching the cases with interest, and many say given a lack of regulatory support for the cancer linkage, plaintiffs’ attorneys have an uphill climb to make such claims stick. “The evidence to support the claims isn’t there, said one prominent lawyer, declining to be quoted by name. “It’s not mothers’ milk by any means. I wouldn’t mix it in my drink, but it’s one of the safest chemicals out there,” he said. Attorney Brent Wisner, who is representing the McCall family, said he is confident in the strength of the evidence against Monsanto. “It’s going to be a fairly large litigation when it’s all said and done. We’re confident we’ll be able to show that Monsanto controlled research and suppressed science,” he said. Back in Cambria, Jack McCall’s son Paul McCall is running the farm in his father’s place. His eyes tear quickly when asked about his father’s diagnosis in September 2015 and death only three months later, the day after Christmas. He doesn’t want to talk about the lawsuit, other than to say he has no use for glyphosate now, and wants to warn others away from it. “This is a battle that has to be fought,” he said. How big and how bloody the litigation becomes is still an open question. The shouting from both sides of the issues is getting louder with each passing day. But the deep questions about the safety of this herbicide deserve serious and scientific review as the answers hold implications for our food production, our environment and the health of our families well into the future.